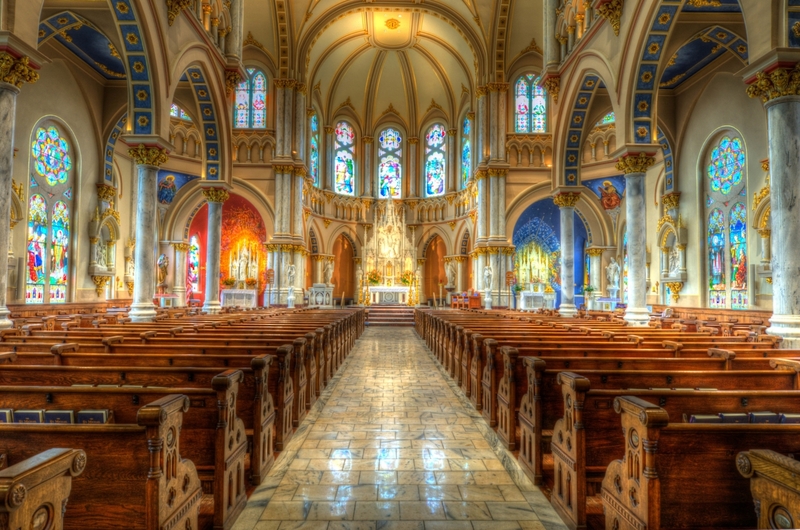 Have you ever admired the beautifully designed missal covers that you see at Mass? 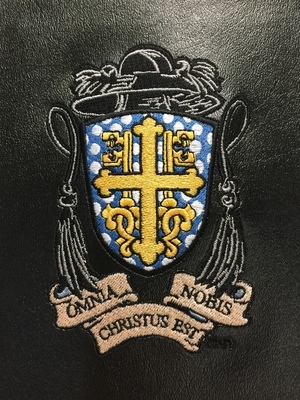 Have you ever wondered where you could get your missal or breviary cover embroidered to look like that? Look at this design to the left…it’s beautiful with it’s intricate detail and splash of vibrant color. Your liturgical missal is part of your every day life and needs protection from the daily elements and constant handling. Your missal is something you hold dear to you that you’ve hand picked to follow the Latin Mass. It’s as if you are taking a part of the Mass with you every day. Doesn’t it make sense then that you would want to protect it and more so have a little remembrance of a special devotion you hold close to your heart or even a special crest on the front cover? 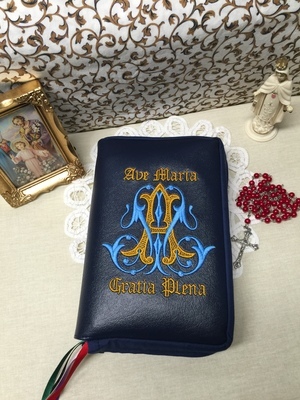 Whether you have a brand new missal or an old one, protect it with an alluring, custom embroidered, sturdy, vinyl cover. These covers can be made to fit any missal, Breviary, Magnificat, Bible, or any book you’d like protected. Where can you get these delightful covers? 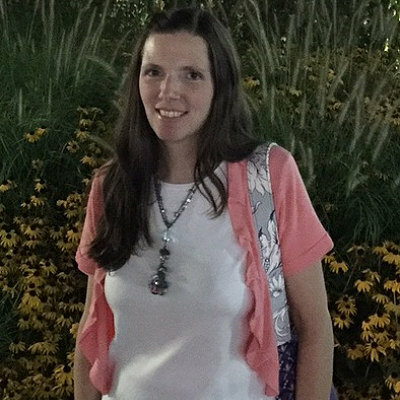 Well, it all started as a hobby and grew into a small-home base custom sewing and embroidery business. Alyssa loved to give handsome, one-of-a-kind, personalized gifts to family and friends. One day she was asked to make missal covers and rose to the challenge. As she started making them she realized the need was much greater than she anticipated because of the fact that a competitor decided to close their doors and not make them anymore. That’s when they decided to take it to the next level. This is when Leah’s Legacy was born.